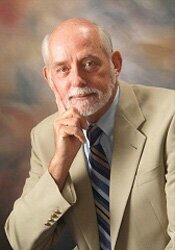 He is the founder and editor of the bimonthly clinical newsletter, The ADHD Report, now in its 25th year of publication. Dr. Barkley has presented more than 800 invited addresses internationally and appeared on nationally televised programs such as 60 Minutes, the Today Show, Good Morning America, CBS Sunday Morning, CNN, and many other programs on behalf of those with ADHD. He has received awards from the American Psychological Association, American Academy of Pediatrics, American Board of Professional Psychology, Association for the Advancement of Applied and Preventive Psychology, American Professional Society for ADHD and Related Disorders, New England Educational Institute, the Wisconsin Psychological Association, and Children and Adults with ADHD (CHADD) for his career accomplishments, contributions to research in ADHD, to clinical practice, and for the dissemination of science. His websites are www.russellbarkley.org and www.ADHDLectures.com. "Dr. Barkley has created a straightforward guide of best practices all educators should use with youth with ADHD. Included int eh book are practical suggestions ranging from ways to better structure the classroom up to interventions that can be readily implemented in most classroom settings to promote academic productivity and appropriate behavior. This is a must read for educators, administrators, and parents/professionals working with your with ADHD in schools!" "Managine ADHD in School should be on the shelves of every educator who works with students with ADHD. It provides a concise, readable and extremely practical guide to understanding and supporting the school success of students with ADHD. All of the recommendations provided in this timely resource are firmly grounded in empirical research; yet these are translated into practices that can be readily implemented in all school classrooms. It is particularly noteworthy that Managing ADHD in School provides a guide for effective assessment and intervention across elementary, middle and high school settings. Dr. Barkley has produced the definitive guide to ADHD for general and special education teachers as well as school professionals (e.g., school psychologists, counselors) who consult with teachers. "Managing ADHD in School is an excellent resource for teachers on the what and why of effective school practices for ADHD. Dr. Barkley, a foremost expert in the field, provides highly readable, interesting, and authoritative information about the neurodevelopmental basis for ADHD and the executive functioning and self-regulation deficits plaguing students with ADHD. This book clearly describes which teaching methods are effective for managing these deficits and why they will work. A wealth of practical, research-supported teaching strategies that can be readily applied in classrooms fill the pages. In addition, teachers will benefit from the detailed information about the latest medications for ADHD. 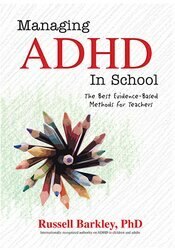 This book will be extremely useful for teachers-easy-to-read, practical, and provides teachers with exactly what they need to know to best help their students with ADHD!"